PAKISTAN Prime Minister Imran Khan’s recent statement promising an end of support to terror groups does not reflect a change of policy and is motivated by the fear of getting blacklisted by the global terror-financing watchdog FATF, the country’s former envoy to the US Husain Haqqani has said. Amidst intense global pressure to rein in terror outfits, Khan had last month said that his Government will not allow Pakistan’s land to be used for any kind of terror activities and promised actions against militant groups operating from the country’s soil. 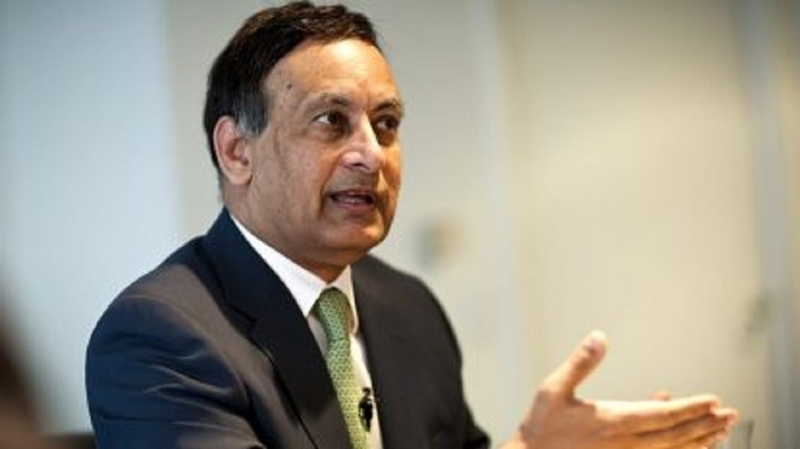 Haqqani, Pakistan’s former Ambassador to the US, told Washington audience on Friday that so far, there is no evidence that the Khan Government or the military is dismantling Pakistan’s terrorist support infrastructure. “There is little change in Pakistan’s attitude towards militancy, particularly the one directed against Afghanistan and India,” he said in his address to the third ‘India Ideas Conference’ organised by India Initiative of the prestigious Georgetown University. Haqqani pointed out that Pakistan has failed to initiate any action against the Jaish-e-Mohammed (JeM) terror group or its leader Masood Azhar after the Pulwama terrorist attack in Jammu and Kashmir. “Islamabad’s close ties with Beijing were invoked to ensure that Azhar’s designation as a terrorist by the United Nations was blocked by China at Pakistan’s behest,” he said, adding that such moves are consistent with Islamabad’s policies of the last 30 years. Haqqani, who has authored several books, is currently the Director for South and Central Asia at the Hudson Institute think-tank. He is considered as an outspoken critic of the Pakistan Army’s domestic and foreign policies, especially its support of terrorism. “Although the FATF sanctions are not imminent, Pakistan is trying to thwart them with public relations moves such as Imran Khan’s latest statement. There will be more PR moves as FATF pressures increase,” he said. The former ambassador said that the desire to reassure the world once again that Pakistan wants to act against terrorist groups is motivated by economic considerations. “Pakistan’s economy is not doing too well. FATF sanctions would only make Khan’s only economic option – more borrowing and financial bailouts by other countries and IMF— more difficult,” he said. Haqqani stressed that “Pakistan’s support for militancy is a strategic choice, motivated by the desire to provide a force multiplier for a relatively poor country trying to act as a major regional power without resources comparable to its perceived rival”. Pakistan is under intense global pressure to rein in terrorist outfits operating from its soil after the Pulwama attack.